I am super excited about this release! to add to the fun!! I'm super excited to have Rebecca aka Melly Moo here with us! She's a wonderful designer from the UK. She has a really fun and playful style that I think you'll really enjoy. She and the Girl Fridays are going to knock your socks off this week!! So, let's get this party started and show you some schtuff! you will LOVE today's sneak peek. 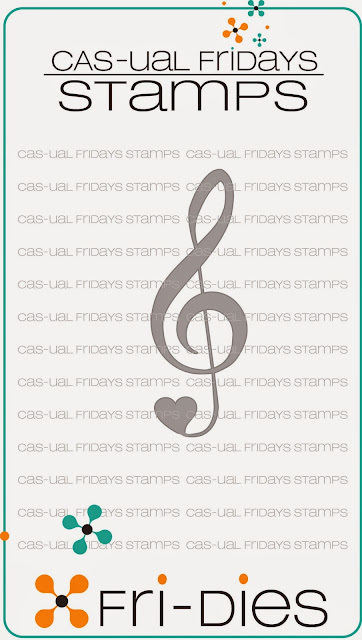 So what do you think of this fun new stamp and Fri-Die? and in many of your favorite shops as well, on Thursday! and it will have you happy dancing too! 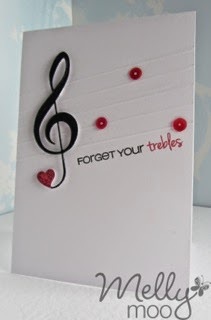 very awesome, set I love the treble clef!!!! Oh wow! Great cards from the team. I love the stamp set and to have the matching die is just perfect. Can't wait to play with this one! WOW! Awesome card and great new goodies! Fantastic inspiration! The stamp set and die are amazing. Oh my these are just perfect. 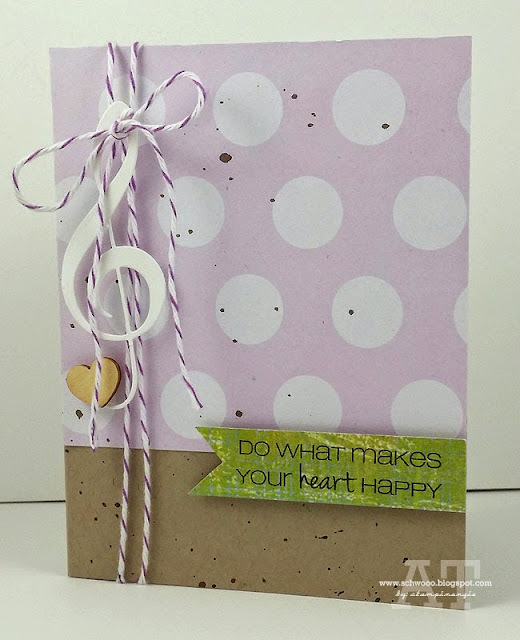 I love the die, stamp and sentiments. WOW DT I LOVE all the very different ways you showed off these sweet CAS-Friday goodies. OMG!! I can't wait to be able to order both of these!! I have the other set and now I NEED this set too!! The card examples are wonderful!! Can't wait to see what else is coming this week!! these samples are fabulous and so inventive! Virginia's treble cleff knocked me off my chair! 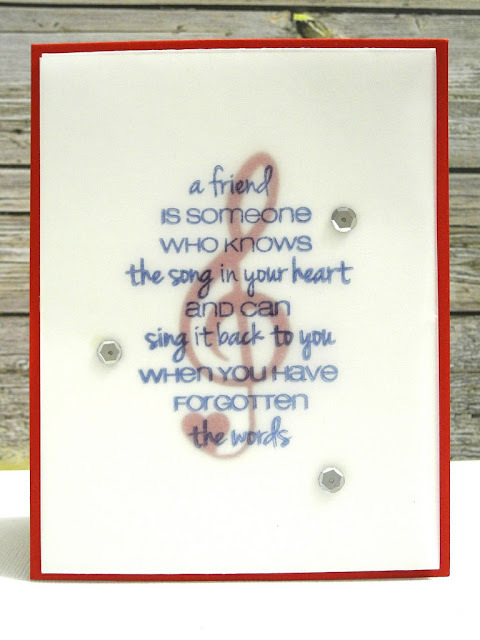 wow what a fabulous set.. love the sentiments and the die.. totally love the DT samples.. 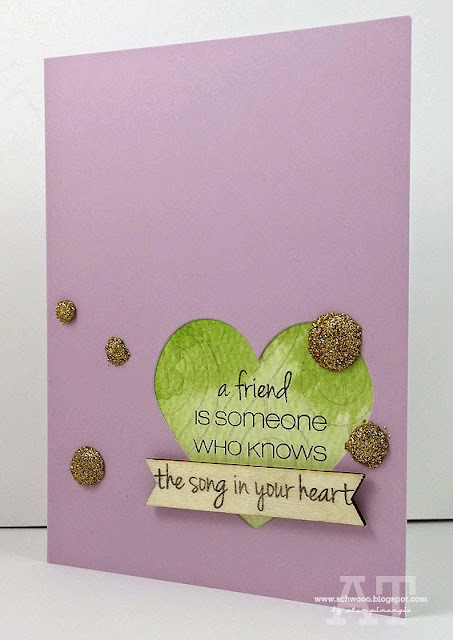 Fantastic die and sentiment stamps, Gorgeous cards! WOW, awesome stamp set and I love that die!!! Wonderful samples! Me likey the new set and die! Awesome samples. Love that die and stamp set! The design team outdid themselves with their fabulous cards! Very different. Amazing how many different ways it can be used. Love this set and such amazing talent by the DT showcasing it, so inspiring!!! 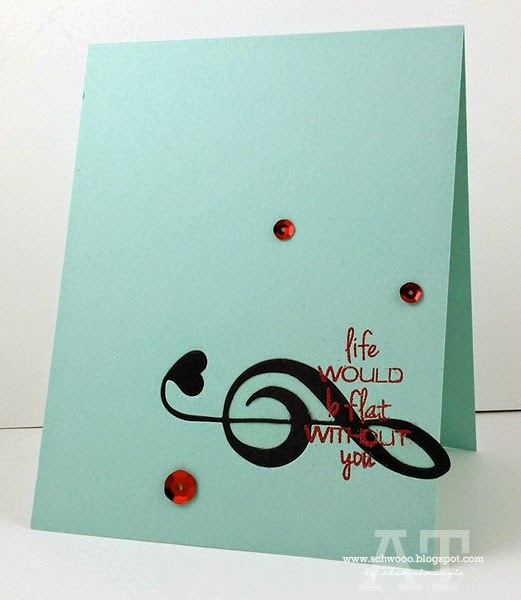 You are always SO CLEVER with your stamp and sentiment designs, Michele!!! And the DT did an amazing job with their samples!!! 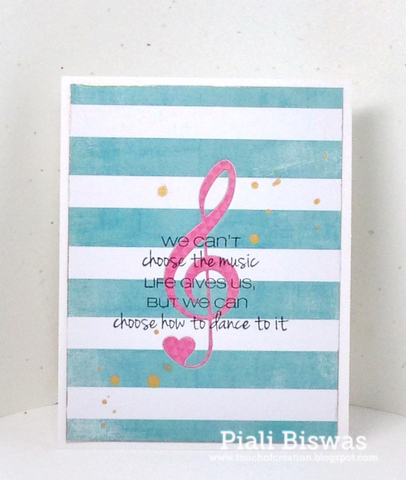 I just love all the creations from your new stamp set as well as the yummy die! Looking forward to the entire release! I love the way several of the designers thought "out of the box" for using this motif! This is just superb! Love the sentiments this set have! If it has to do with music, I am sooo there. LOVE this set....NEED it! Love the dies and the sentiments on the stamps. Awesome job DT! Thank you for showing us those wonderful, colorful cards. Great die, great stamp. 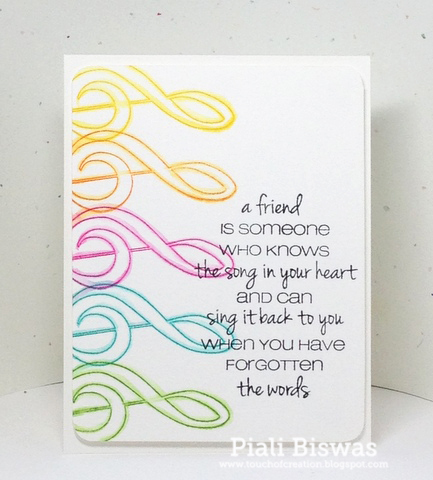 LOVE this stamp set and die! 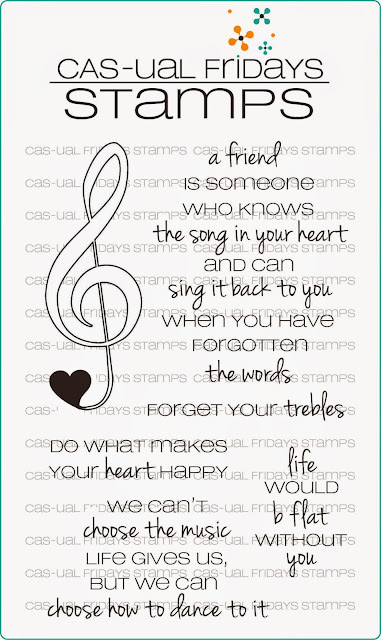 This is perfect to make cards for my husband... I love music too, but he breathes music. The sentiments are fun and romantic at same time. Love the samples from the talented group of GFs. Love love LOVE...the new set, the dies, and especially the DT's creations. The sentiments are awesome, and this will pair SO well some of your other previous sets, too. 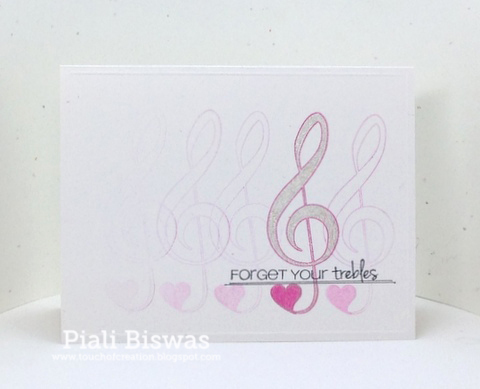 Oh yes--fabulous new set & die & incredible DT cards! LOVE the new Fri-Die and set! Fantastic DT creations! Omgosh! I just love these stamps & dies. 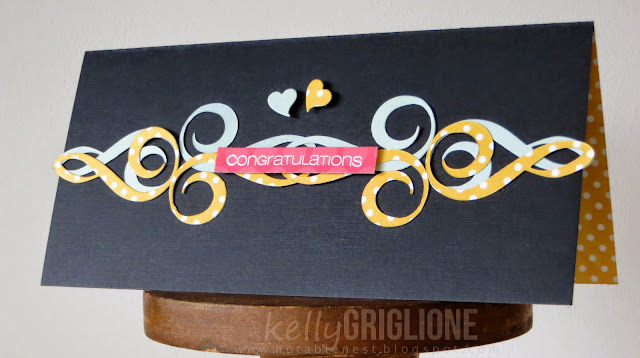 Absolutely awesome - I especially love Kelly's first card- such a cool pattern she created! You are so right! I love this set, too. Great sentiments with it. Love the cards by the DT! This die and this stamp set are so adorable,first time I saw felt in love with it! really so great.Everything of style you showed,from CAS till wonderful colored. Oh my goodness, the DT is so amazingly creative. I love all the non-traditional way they have played with the treble clef. Amazing! Wow, love the cards from the DT. Virginia and Kelly are brilliant, mind blowing talent!!! How much treble could you get into with this set! Love!